Texas Divorce and My Children : What Are My Fathers Rights? It is 2019 and many fathers are facing a regrettable and inevitable DIVORCE! Either through Mom’s decision or Dad’s, it may be the end of a joint family life that includes both parents in one residence. 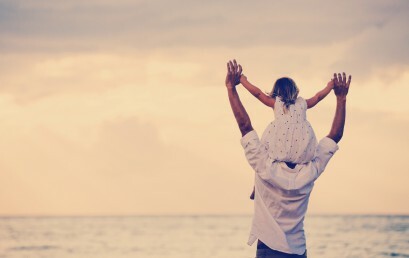 No one is ever happy, but by doing some research and trying to make reasonable decisions, fathers will persevere and hopefully you will be able to maintain your loving relationship with your children and family. Your children love you and just because you are no longer living with their mom, doesn’t change your love. You keep your opinions to yourself and not share all your adult thoughts with your children. YOU LOVE THEM AND ALWAYS WILL! NOTHING HAS CHANGED IN YOUR INTEREST OR LOVE FOR YOUR Children. Mom is no longer in your home and love with the children. She has her own relationship with the family now. You do have definite rights to your children. When the decision has been made to file for divorce, employ an experienced attorney to help guide you through this process. Negative statements, even when true, ARE NOT HELPFUL! Uninformed opinions from your soon to be ex, concerning your rights with the children, are suspect, since you now are on opposing sides. A very knowledgeable Fathers Rights Attorney is up to date on all current issues in Fathers Rights domestic litigation and the courts, and this is who you should listen to for guidance. As the divorce proceeds and behaviors by the divorcing couple become hostile and estranged, just remember that self-control and acting rationally, without anger, will help in eliminating future ammunition to be used against you in the divorce and custody case. Self-control in your behavior and attitude will help you keep an upper hand in the Divorce proceeding and help the outcome. Finally, you are not the victim! Don’t lay down dead and let Mom run over you! There is life after the death of a marriage and you will learn that not only may your life be better, but your life with your children will be enhanced! The children will have watched you act like an adult and parent who loves them and wants the best for them, but also wants a good life with them in the after-divorce life. Get your financial documents in order: Review our blog “Prepare for Your Divorce” to start getting ready in the financial part of the divorce. Subject to the outstanding standing order of the court, be sure to protect all joint bank accounts and open new ones for your individual use. Also, if indicated and necessary, delete spouse from all your credit and charge cards. Depending on the age, meet with your children and discuss what is happening to your family. Make sure they know that your relationship with them will never change and you will always be their father and show this by loving actions and affections. Confirm that you are divorcing their Mother, not them. Stay on your best behavior during this stressful time. Watch your consumption of alcohol intake and try to stay in good company. You need to show that you are not the aggressor. Never let Mom provoke you into a stressful situation where you may engage in a public spectacle with any form of emotional, physical or sexual abuse against Mom or others. The Judge or jury would not be impressed! If you have not hired an attorney, now is the time to “lawyer up”. You need to find a competent attorney who has a good reputation dealing with fathers and their rights to their children. Look on legal websites and blogs to see if an attorney relates to your legal needs. Check on fathers’ rights blogs and see if an attorney has answered questions about a similar family situation as yours and has suggested good solutions to help resolve the issues. Give this attorney a call and set up a consultation to see if he/she would be a fit for your legal need. If life and divorce pressures are making you depressed, search out for help with supportive family or friends, clergy or professional counselors. Studies have concluded that Divorce is one of the most stressful events in an individual’s life. Get the support you need to be able to make wise decisions and to promote honest interaction with others during this most stressful time. Like death, Divorce is one of life’s worst events. Know that this difficult time will someday be over, but also along this path there will be unknown surprises and events, that will test your honesty and dignity as a father and a parent. But in the end, you will make it and still be the father that you need to be to your children. Stay Calm. This too shall pass…. Dallas Fathers Rights attorney, Mark Nacol of the Nacol Law Firm P.C., discusses Trends in Family Law regarding Texas Fathers Rights . Are you now going through or commencing a “High Conflict” Divorce with children where one Alienating Parent is encouraging or programming the child to reject the other parent without legitimate cause or justification. An alienating parent makes a child choose sides to bolster the alienators own parental identity and to undermine the target parent through denigration and interference with the child’s other parent relationship. 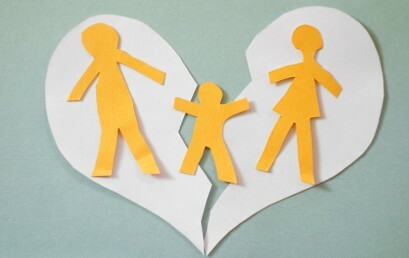 Parental Alienation is more common than thought in divorce situations and many alienation situations continue throughout the entire relationship with the target parent and the affected child. What are the warning signs of “Parental Alienation Syndrome”? Beware when a child starts displaying accelerated signs of hatred and anger rejecting any relationship with the target parent. This is especially transparent when a normal relationship existed before the deviant behavior manifests. Under the idea of just being honest, the alienating parent tells the child “the entire family situation” through their opinionated eyes causing the child to think less of the target parent. Placing singular blame for who caused the breakup of the family? Alienating Parent refuses to allow the target parent access to school records/activities, medical/doctor records/appointments, extracurricular activities, or anything that would be a shared part of the child/parent life together. An Alienating Parent makes demands on the target parent that are contrary to court orders. Allows the child to make choices about parental visits with the target parent contra to existing court orders causing the child to resent the target parent when the changes request cannot or should not happen. Alienated parent may schedule the child in too many activities to assure no time is left for the target parent to visit with the child. Both parents need to be flexible with visitation to respond to the child’s need to have a relationship with both parents. A parent listens in on the child’s conversation with the target parent or does not allow the child to talk with the target parent at the designed call time. Refuses to allow children to takes their possessions to the target parent residence. Alienated parent blames the target parent for financial problems, having a boy/girlfriend, or causing changes in the family lifestyle. Forcing adult issues on a minor to gain advantage. When the child shows constant anger towards the target parent that accelerates to the point where the child avoids being with the target parent. No justified or demonstrative reason is given or exists for the anger and the child will not discuss the issue. The alienating parent will use the child to spy and gather information against the target parent. This can cause the child to demean and fear the target parent while scaring the child’s self-image. Alienating parent asks the child about the other parent’s personal life causing the child extreme stress/tension. A child not alienated wants to loyal to both parents. Alienating parents have secret codes, signals, and words that reinforce very destructive on-going alienation. In today’s world Parental Alienation Syndrome (PAS) is now taken very serious in family law courts. Please review the symptoms of parental alienation and see if there are common elements in your relationship with your child to determine if parental alienation may be a factor. If so, take action to help alleviate this this situation with your child. Contact a medical professional who can help address this form of brainwashing. The alienating parent always feels like they are helping the child, but in reality, by pushing the child into their way of thinking about the target parent, they are pushing the child into a life of low self- esteem, depression, lack of trust, and self- hate. Many times the child will turn on the alienating parent when the real family picture comes out or as they grow and mature. Nothing is ever gained by demeaning actions by one family member on all other members of the family unit. Many times it may also be necessary to contact a legal profession who is knowledgeable in Parental Alienation situations to legally intercede and help correct family issues before the child and parent regress to a non- existent relationship with each other. Getting Even by using a child is never fair play. The child has two parents and should be able to have a loving relationship with both.